What kind of subscription options exists for Oracle Database Exadata Cloud Service? What mean by Non-metered Subscription? A non-metered subscription is an agreement to purchase a specific number of service units over a specific term. Consequently, the charge for a non-metered subscription is not related to actual service usage. Non-metered subscriptions are also referred to as standard subscriptions. What mean by Metered Subscription? Metered Subscription — With a metered subscription, you are charged based on your service usage. Pre-Paid — With a pre-paid subscription you pay an up-front amount to establish an account that is consumed as you use a service. Pay As You Go — With a pay as you go subscription you do not pay an upfront amount and are billed periodically for your actual service usage. 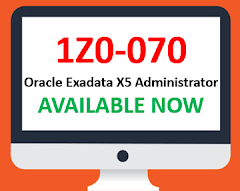 What type of exadata configurations offered for oracle exadata cloud service in Oracle premises? What type of exadata configurations offered if customer has Exadata cloud at customer palce? What is SPARSE disk group? The SPARSE disk group is required to support Exadata Cloud Service snapshots. Exadata snapshots enable space-efficient clones of Oracle databases that can be created and destroyed very quickly and easily. What is the use of database snapshots? Snapshot clones are often used for development, testing, or other purposes that require a transient database. What are the options to reconfigure storage for ASM disk group in exadata cloud service? What will be the storage allocation ratio if backup is not on exadata and SPARSE disk group is not required? Which access is mandatory to create Oracle Exadata Database Cloud Service? Which service level option you need to select while creating Oracle Exadata Database Cloud Service? 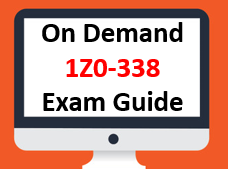 When creating a database deployment on Oracle Database Exadata Cloud Service, we need to select Oracle Database Exadata Cloud Service as the service level option. Which version of Oracle Database supported for Oracle Exadata Database Cloud Service? Which type of database setup we can choose while deploying the database on Oracle Exadata Database Cloud Service? Which storage options are available to store automatic database backup? It can be either Cloud storage or Exadata storage. 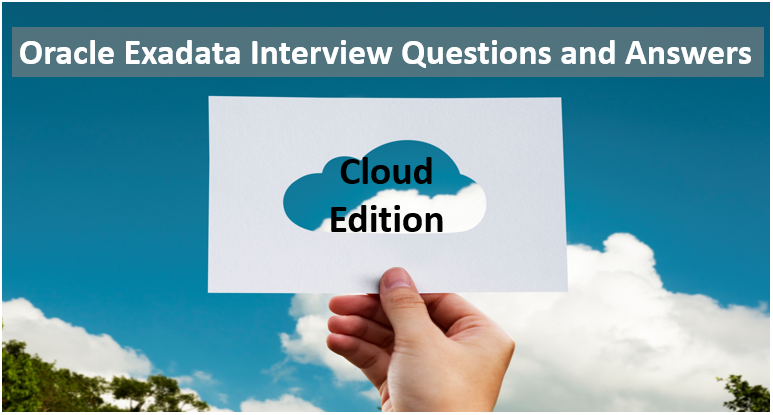 Which role will be created to start working on Oracle Exadata Database Cloud Service? 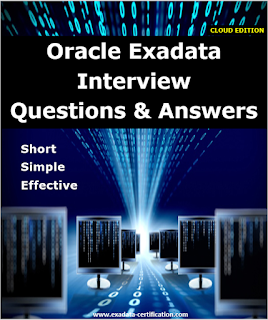 What is the workflow for using Oracle Exadata Database Cloud Service? What is the recommended method to stop, start or restart compute node? Oracle recommends that you use the Oracle Database Cloud Service console to stop, start and restart the compute nodes, rather than using an operating system command. What kind of scaling are supported for Exadata in cloud service? Scaling within an Exadata system enables you to modify compute node processing power within the confines of your existing Exadata system. Scaling across Exadata system configurations enables you to move to a different Exadata system configuration. For example, from a Quarter Rack to a Half Rack. What is bursting in exadata scaling? 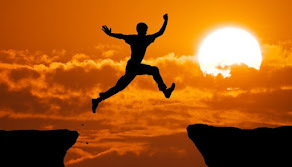 With bursting, you can quickly scale up beyond your subscription level to cater for workload peaks. You can also scale back to the subscription level at any time. CPU cores beyond your subscription level are charged separately using an hourly rate for the bursting period. When one should go for scale exadata across exadata system? Processing power that is beyond the capacity of the current system configuration. Storage capacity that is beyond the capacity of the current system configuration. A performance boost that can be delivered by increasing the number of available compute nodes. A performance boost that can be delivered by increasing the number of available Exadata Storage Servers. 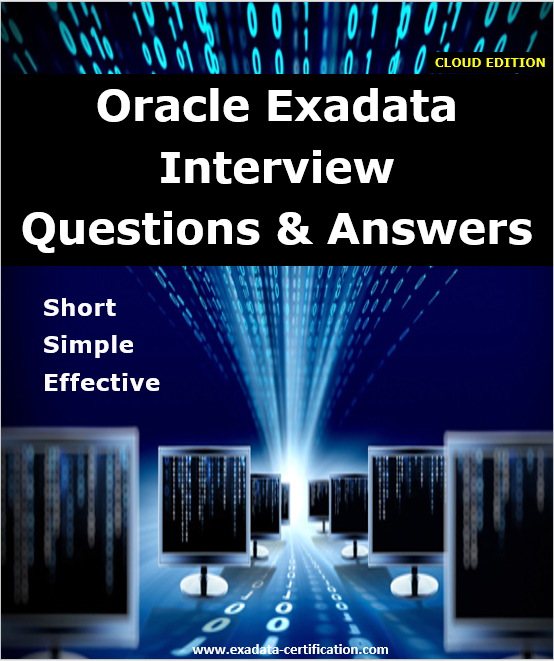 How we can load data into Oracle Exadata Cloud Instance? You load data into an Oracle database on Oracle Database Exadata Cloud Service using the same tools you would use for an Oracle database on another system. However transmission speeds across the internet can be slower. Which utility used to take backup in Oracle Exadata Database Service? Which utility used to patch Oracle Database and Oracle Grid Infrastructure software in Oracle Exadata Database Service? What pre-requites we should check before applying patches? Confirms connectivity to the required compute nodes. Verifies that there is enough space to apply the patch. Runs the opatch prereq command to validate that the specific patch requirements are met. Which system user available to access the operating system in Oracle Exadata Database Service?